As always I’m wishing everyone a happy new year in Feb because that’s when it really hits me. Happens to you also I’m sure – so a very happy new year. Last year I had a great year and a great sketchbook, most of which I was too lazy to scan. So here goes. I think it was October (?) 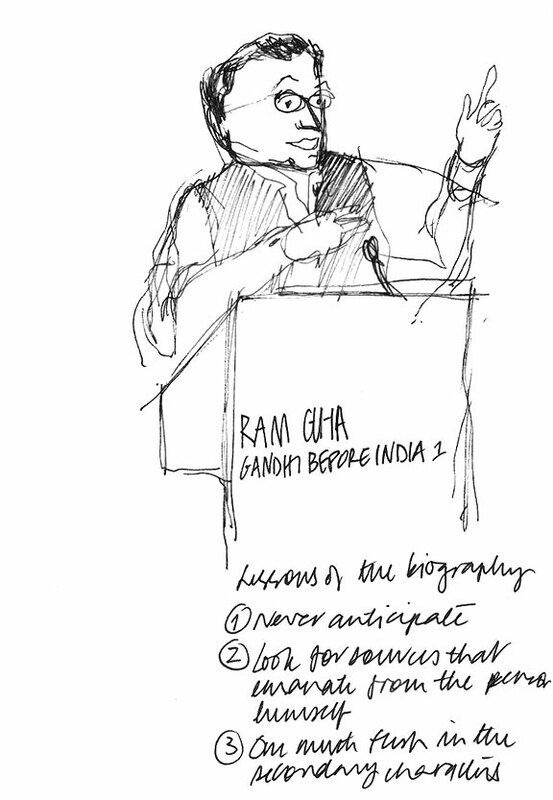 that I happened to go to the book launch of Gandhi before India by Ram Guha. 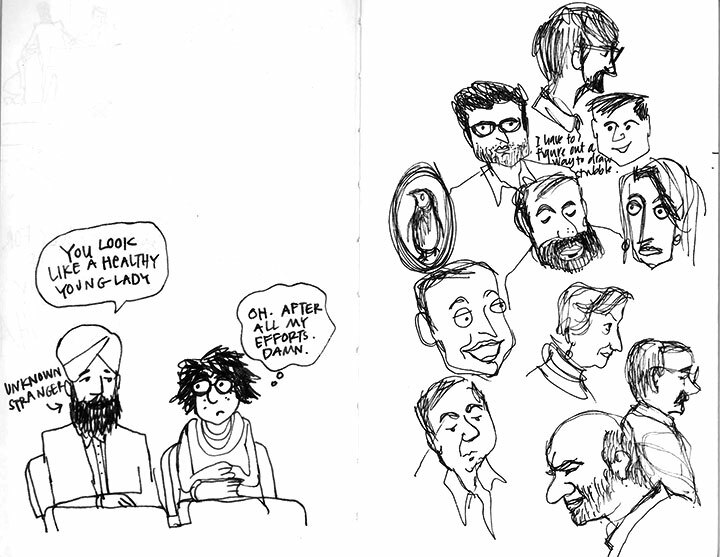 Until the session began, I amused myself by drawing the people in the audience. If any of you reading this post go to book launches, please don’t stop – I love drawing faces of book lovers – a refreshing change from the blue line Delhi metro commuters.